Aksai Chin lies very close to India – China Border and is currently in control of the Chinese. It is part of in the Ladakh region of Jammu and Kashmir state. As far as tourism is concerned, entry is restricted in this area due to safety reasons. However, if permission is granted from China, one can reach this place through China National Highway 219. Like the surrounding area, this place is rich in natural beauty. It is quite unfortunate that a place as surreal as this cannot be easily visited. 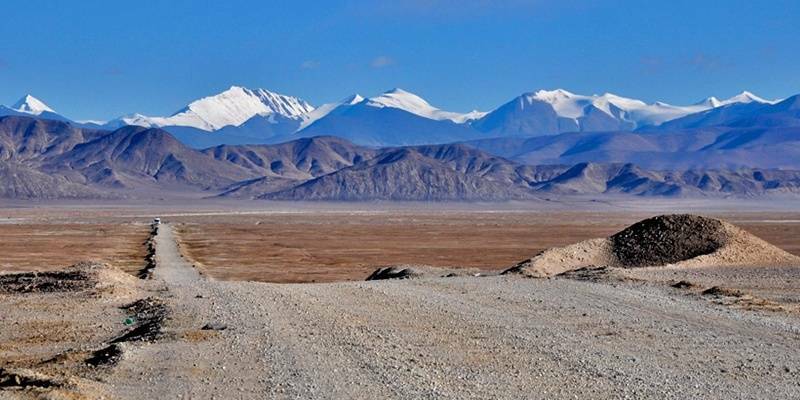 Aksai Chin is primarily a desert area with many salt lakes. The saline Pangong Lake is situated close to this area. The clear blue water and the serene beauty of this place is truly awe inspiring. It seems like another heaven. If India is able to claim the rights of this land, better tourism options might be available. Depsang Plains is near the LAC (Line of Actual Control) separating the borders of India and China in Jammu and Kashmir. Most of this area was under the control of the Chinese Army till 1960. However, now due to some agreements, Depsang Plains are under the Indian Army’s control. Many disputes are still on. Like the surrounding area, this is also a desert region with mountains surrounding it. There are two – three places worth visiting near this area. 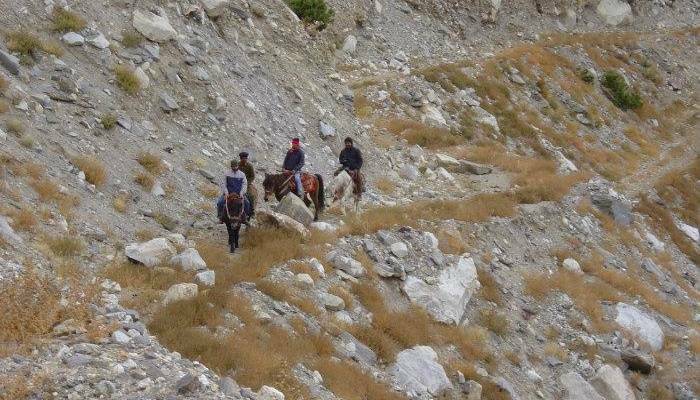 These include – Murgo, Daulat Beg Oldi, Nubra Valley. This area often needs special permission but in a few places, permit is not needed but confirm on this with a travel agent in Leh. It is advisable to take extra precautions while visiting this place. 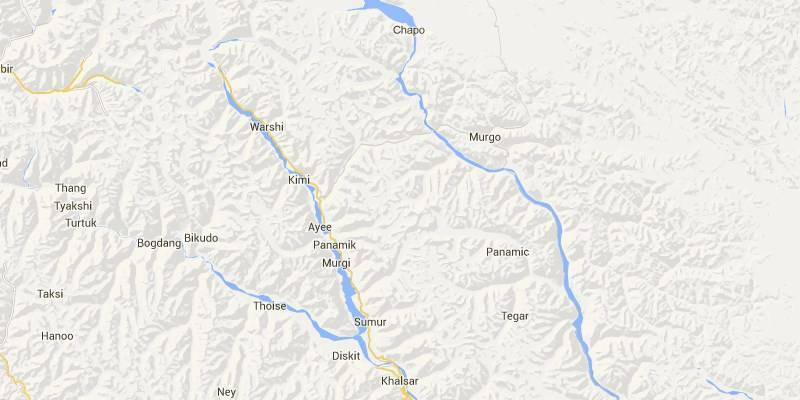 Murgo lies on the border of Leh, Ladakh and Aksai Chin. It is a small village with many hills surrounding it. The term “Murgo” in Yarkandi Uyghur, means the “Gate of Death”. Very few locals live here and their main source of income is apricot farming and yak rearing. Surrounded by snow-capped hills sand dunes, the natural beauty of this place is truly surreal. However, the temperature falls to around -30 degree celsius in winters. Strong icy winds are also a regular phenomenon. Due to these reasons, flora is not abundant. This region can also be reached via China National Highway 29 or via KK Pass. Indians do not need permit to visit this area but foreigners still require it. This place is a must if you ever visit Leh area. Demchok or Demjok is a village located in Leh, Jammu And Kashmir. It is not exactly loacted on LAC but is close by. It has a very low population of about 5000+ people. 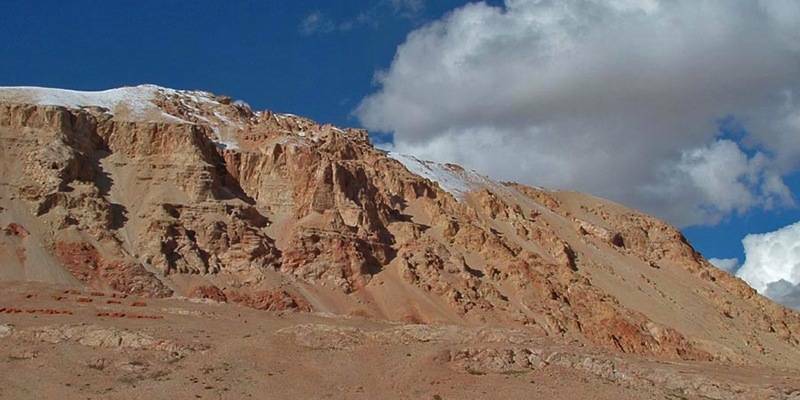 At a distance of about 300 km, Kailash Mansarovar is located. The route to Demchok is through the plains. There is some ambiguity about permission required to visit this area. 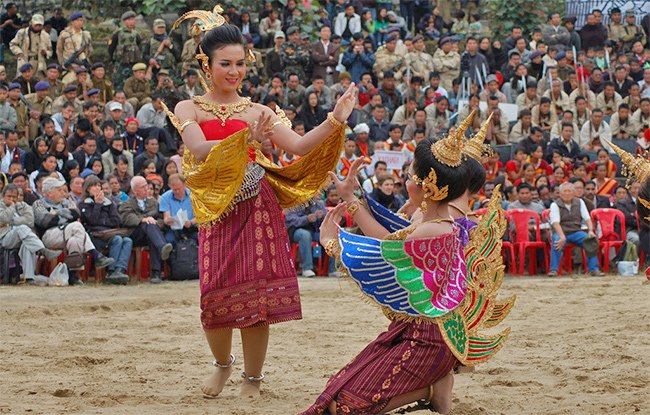 Demchok is a desert area and a military encampment. Hills surround this area and like the other places in Ladakh, the natural beauty of this village is also breath-taking. Not many facilities are available here and you will have to set up your own camp but a short visit to this place is sure to rejuvenate and thrill you as well. The temperature in winters falls to around – 30 degree celsius and due to heavy snowfall, any visit during winters should be avoided. 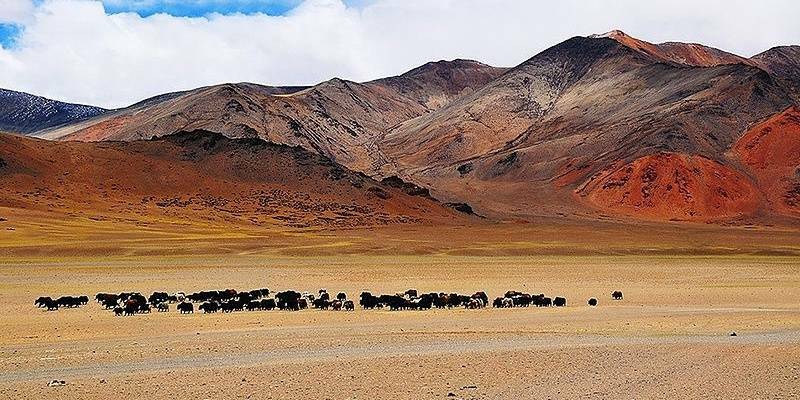 Shipki La is a mountain pass located on the India – Tibet Border. River Sutlej crosses through this area. The awe inspiring beauty of this place will attract all the nature and photography enthusiasts. The snow-capped mountains and the foggy weather is sure to leave you spell bound. Due to very cold weather, dense vegetation is not found here and the fauna is also scarce. It is completely away from the hustle bustle of the city and is ideal for a relaxing weekend. However, entry to non-residents is not allowed in this area. It is used for only local trade of not a very large scale. NH 5 is the safest road which leads to Shipki La. None the less, Shipki La is indeed a heavenly place to visit if you ever get a chance. 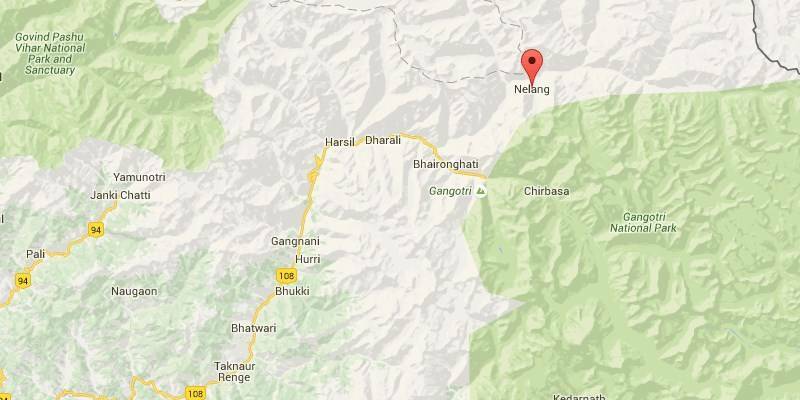 Nelang Valley or Nelong Valley also lies on the India – Tibetan border and is a comparatively small hilly village area. The Government has recently opened this place for tourists in May, 2015 and but still permission is required to visit Nelang Valley. This area falls on the route to Tibet. Nelang Valley used to be an important trade route till 1962 Indo-China war and it still has a few architectural structures which testify this fact. Jadh Ganga, a tributary of River Bhagirathi flows across this area. The most important sites are the wooden bridge, Gartang Galion and Lal Devta Temple. Just like the surrounding areas, Nelang Valley is also gifted with astounding natural beauty. The scenic beauty of the place will definitely lure you in staying longer than planned. It is an ideal place to visit for a short rejuvenating weekend. Shaksgham Valley is a part of the Trans – Karakoram Tract. It is a highly disputed area and talks are going on between Pakistan, China and India as to who should get this place. Currently, this area is administered by China. Shaksgham River flows across this area. This area cannot be inhabited as it is surrounded by some of the largest mountain peaks including K2. 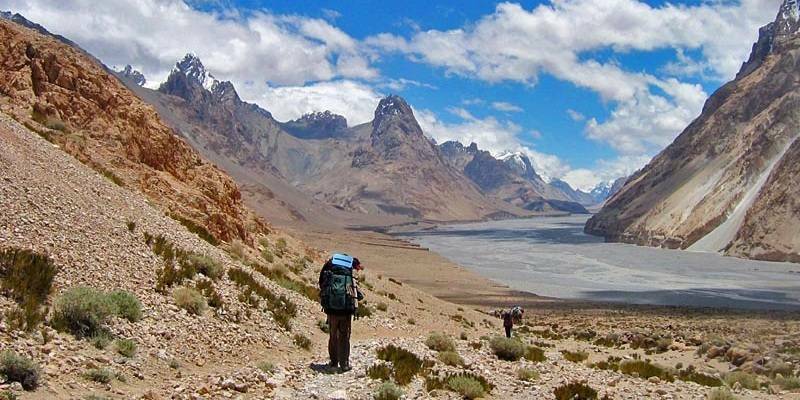 Shaksgham Valley is an ideal place for an adventure trip. With the river flowing across it and mountains covering it from all sides, the natural beauty of this place is surreal. Vegetation is scanty and not many species of fauna exist here. The population density of this area is also negligible and it is one of the very few places left which have not been destroyed by commercialization. Though, all of these places deserve to be visited at least once, unfortunately our governments and border situation has made it tough and impossible in few cases to visit these places. If you plan to visit any of these care should be taken that this area is not safe and must be visited with caution. Also confirm with local administration about permissions required for every place you plan to visit.